Bishop will celebrate the Chrism Mass in the diocese on Tuesday, April 16. All are welcome. At the Mass, Bishop blesses the oil of the sick, the oil of catechumens and the sacred chrism. 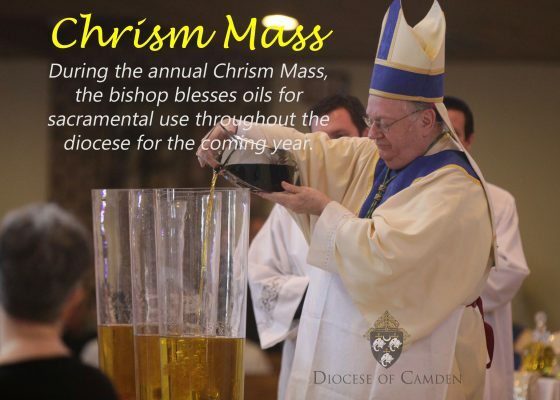 The Chrism Mass is celebrated each year at which the bishop blesses oils for sacramental use throughout the diocese for the coming year.